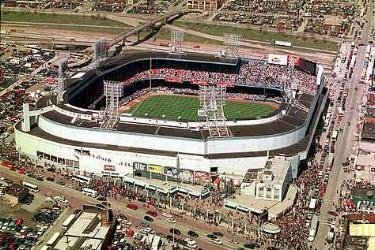 I had forgotten until some time last week that the 1968 Series (the first one I actually remember) was Tigers/Cards. Wonder if St. Louis will beat the Mets ... and history will repeat itself? (That's Cards' pitcher Bob Gibson mentioned in the headline). 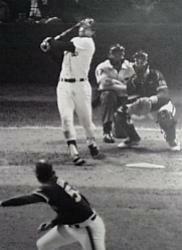 Lolich hit the first and only home run of his Major League career in Game 2, and was World Series MVP. And, while we're at it, "The Roar of '84" (which became "The Dive of '85," something we will not speak of again) - Tigers vs. the San Diego Padres. Of course, those winning seasons took place at Michigan & Trumbull. 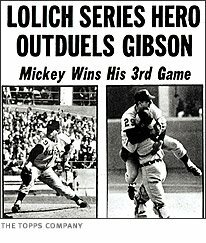 Lolich was one of my heroes in my baseball crazy youth. Perhaps it takes a southpaw to appreciate another. My favorite from that great '68 team was Al Kaline, but there were so many heroes -- Willie Horton, Jim Northrup, Mickey Stanley Norm Cash. Let's hope it's deja vu all over again, to quote a non Tiger!